Located in beautiful Glacier Country with access to Western Montana’s wilderness right outside our door, Whitefish Bike Retreat offers adventure like no other. Here, our focus is on the bike and the adventure traveler, whether you’re visiting as part of a larger U.S. biking itinerary or you’re on an international tour. 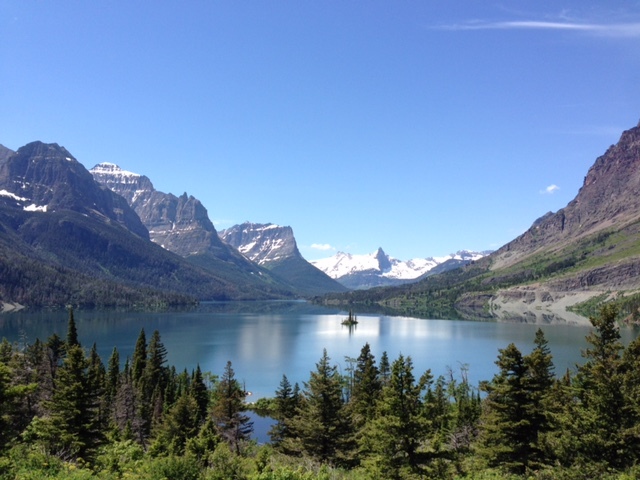 Our proximity to Glacier National Park is a major draw for travelers. 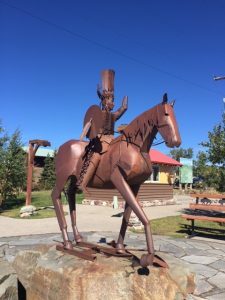 We’re just a 30-minute drive from the gorgeous Crown of the Continent, and we’re also close to downtown Whitefish, the charming ski town and summer hot spot. 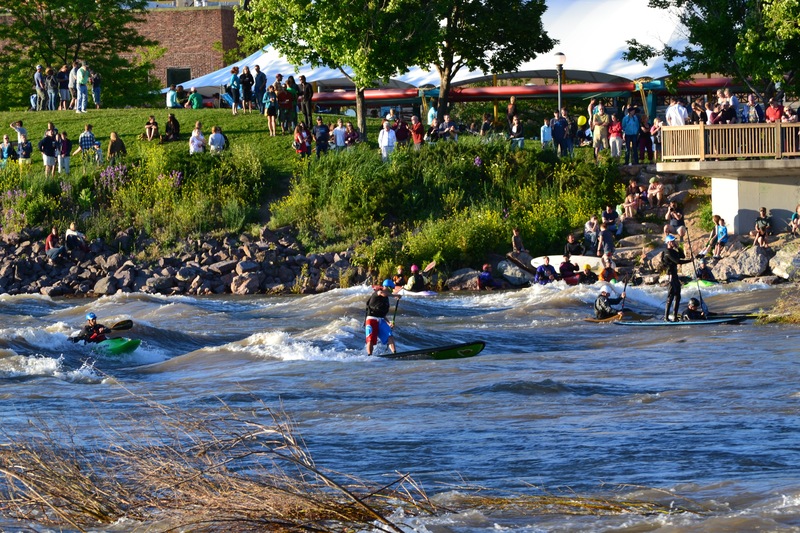 This area boasts endless year-round outdoor recreation and fun. 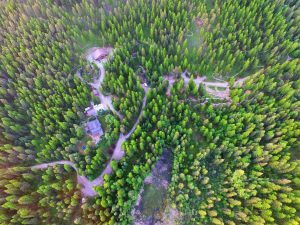 Aerial view of Whitefish Bike Retreat. 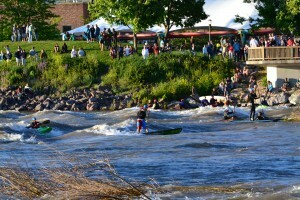 Summer is stunning at WBR. 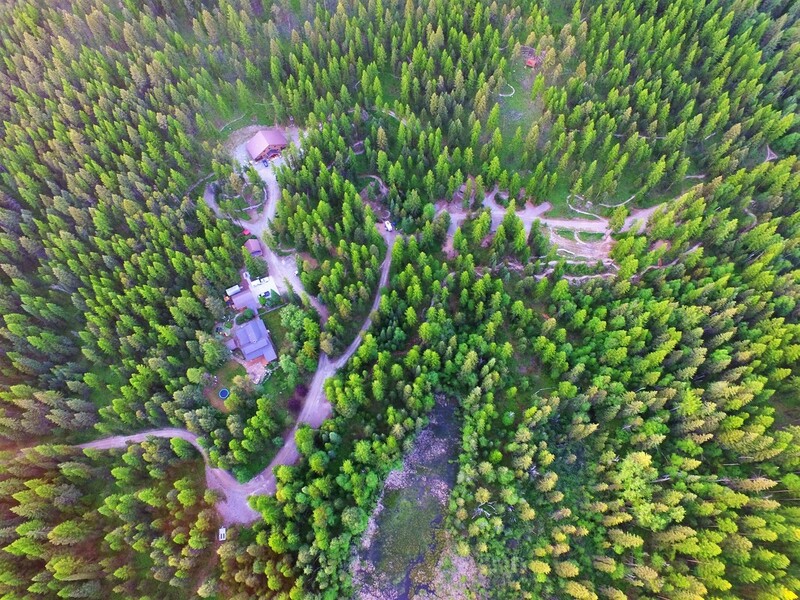 From the aerial photo, you can see our lodge, campground, trails, skills area, pump track, ridge deck, office/camp store and the woods we call home. 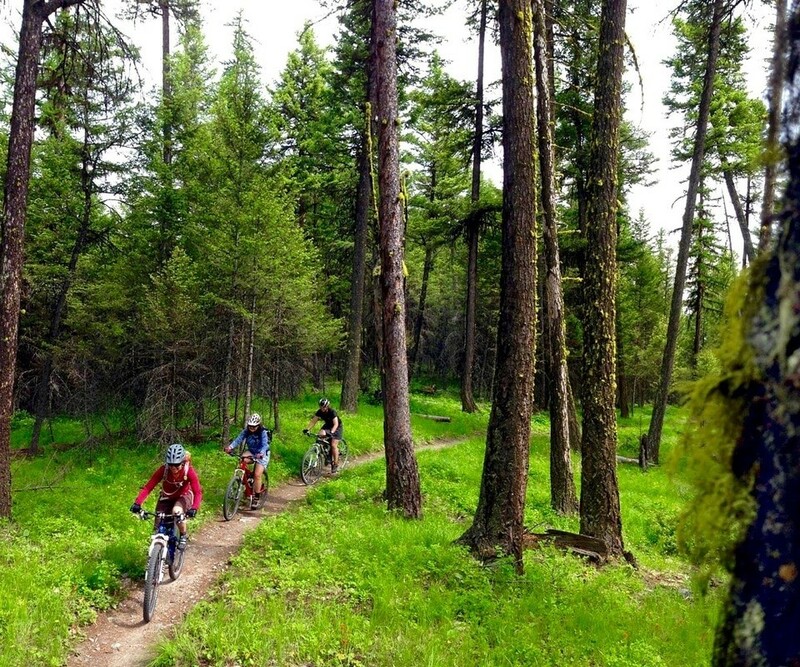 Book a bunk in our lodge or pitch a tent in our campground, and ride around our trails or venture onto the Whitefish Trail System, encompassing 42 miles of natural surface trails with 12 trail-heads. 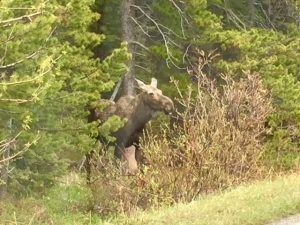 The WBR crew is here to help you navigate the trails and find your way around this exceptionally scenic part of Montana. 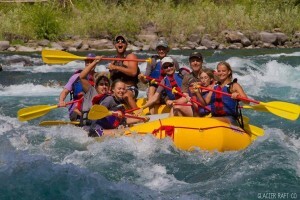 WBR also offers day adventures. Rent a mountain bike trail-side so you can ride the Whitefish Trail without having to transport your own bike to a trailhead. When you’re finished with your ride, feel free to come back and hang out with us, and share your stories from the day. Grab a pint of our favorite local ice cream at Sweet Peaks, and recover in one of our hammocks to top off a day well spent. 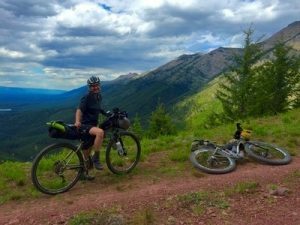 Bikepacking on the Great Divide Mountain Bike Route. 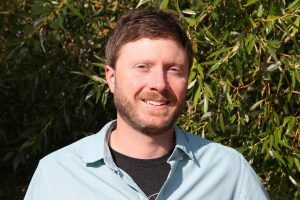 For those of you looking to venture further out on a longer ride, plan a bikepacking adventure where you are limited only by the time you have available. We offer mountain bike and bikepacking bag rentals, so all you need to bring is your gear and sense of adventure. 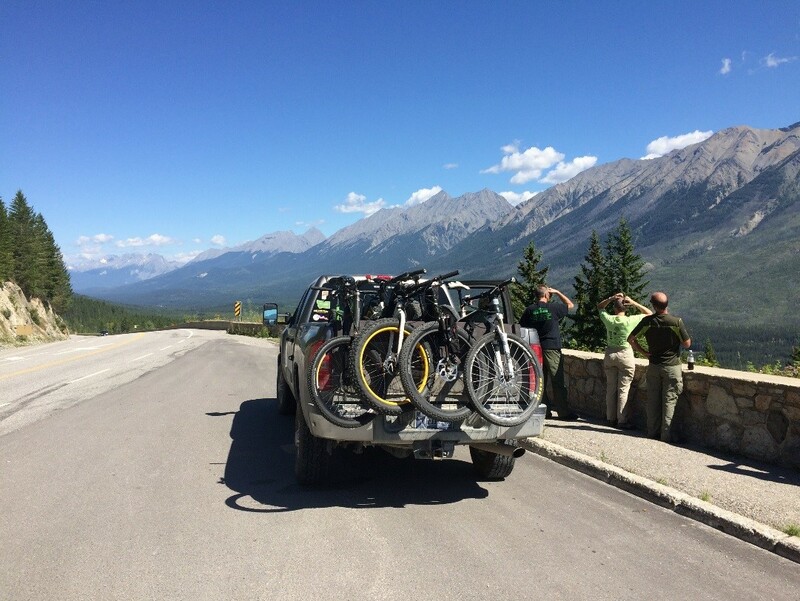 We can help you pack a bike, find a route to explore and shuttle you to the trailhead, or pick you up when you’re finished. Embark on the ultimate adventure. WBR is located near the Great Divide Mountain Bike Route, which is the longest off-pavement bicycle route in the world, starting from Banff in Alberta, Canada, crisscrossing the Continental Divide and ending in Antelope Wells, New Mexico. 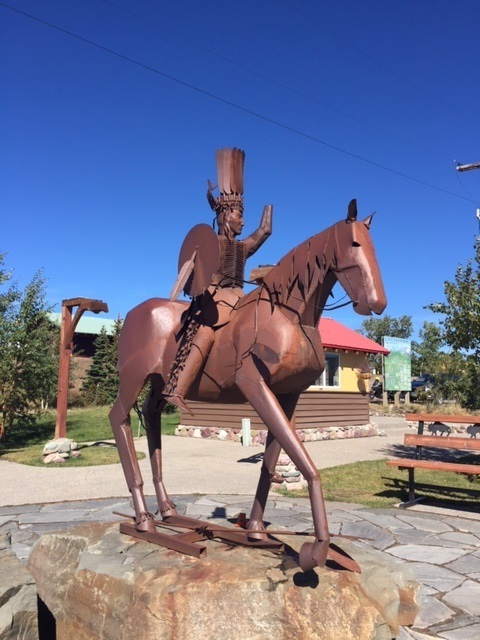 Riders on the Whitefish Trail. 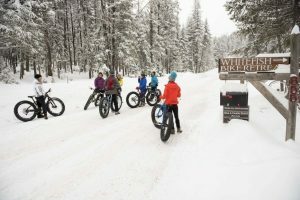 Fat biking around Whitefish Bike Retreat. 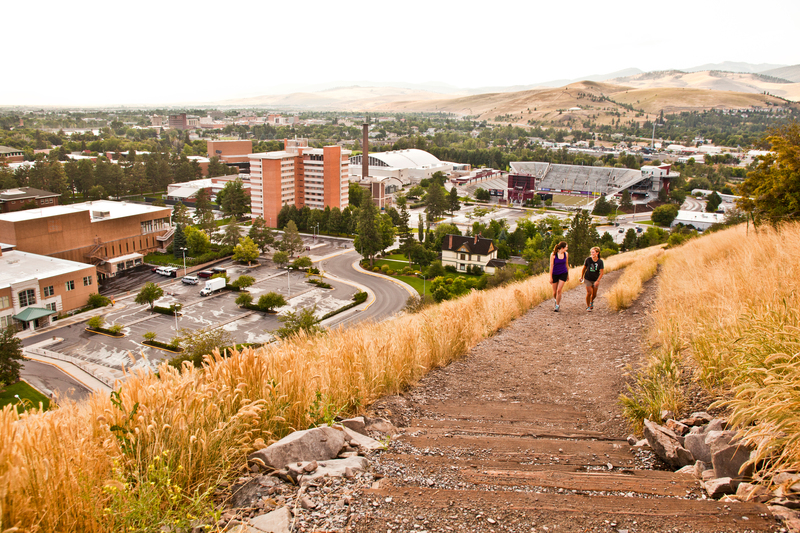 Biking isn’t reserved for the warmer months. Winter offers load of fun. Join us for a snowy winter-wonderland adventure. 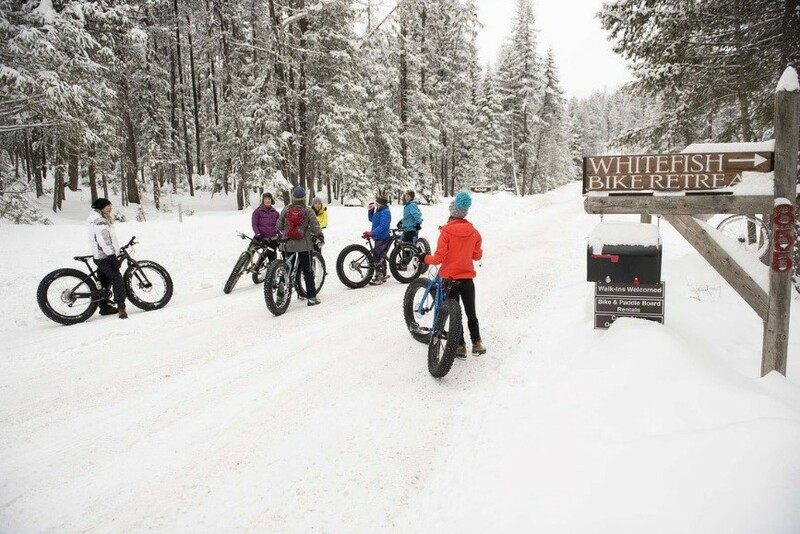 Our lodge is open year-round, with groomed fat bike trails stretching from the front door out into and around the Beaver Lake area. 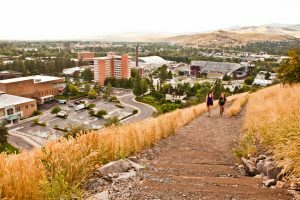 These winter trails are shared with snowshoers, cross-country skiers and fat bike trail enthusiasts. 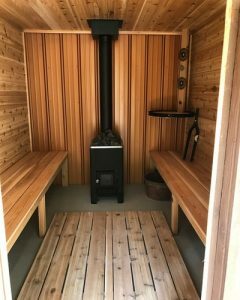 Our lodge offers guests easy access to winter activities and a comfy place to end the day with family and friends, warming up in the wood-fired sauna. Getting here is easy. 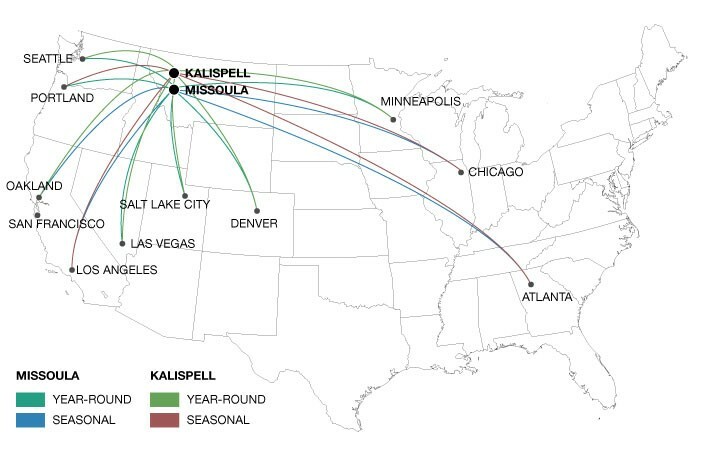 For those of you flying into our closest airport, Glacier Park International (FCA) in Kalispell, we offer a shuttle. Amtrak rail service running from Seattle or Portland to Chicago passes right through our region, with a stop in Whitefish, and we are happy to offer a shuttle from the train depot. During our office hours, we offer free town shuttles to get guests back and forth between WBR and Whitefish, where you can take advantage of buses to Glacier National Park or Whitefish Mountain Resort, or enjoy downtown Whitefish—one of the friendliest towns in the West, with an array of shops, galleries and eateries. 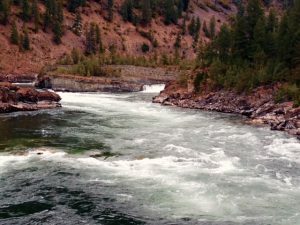 www.whitefishbikeretreat.com or give us a call at 406.260.0274. 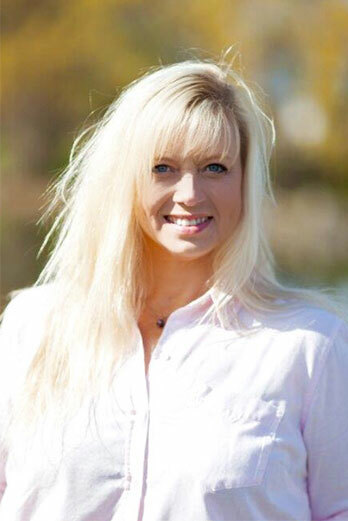 Cricket – owner of Whitefish Bike Retreat. 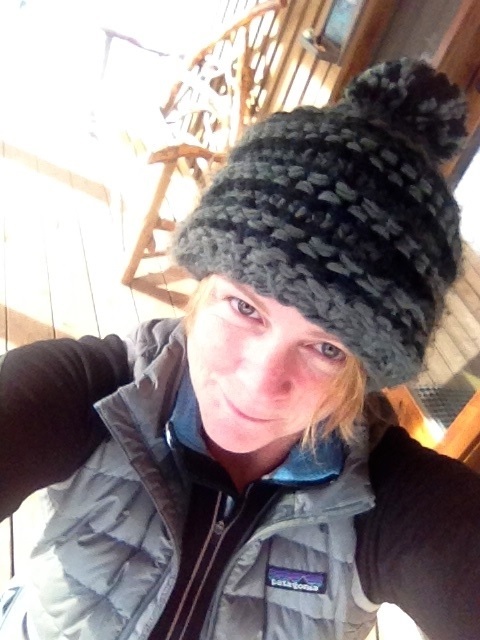 Cricket Butler moved to Whitefish 2012 and opened the Whitefish Bike Retreat (WBR) in 2013. 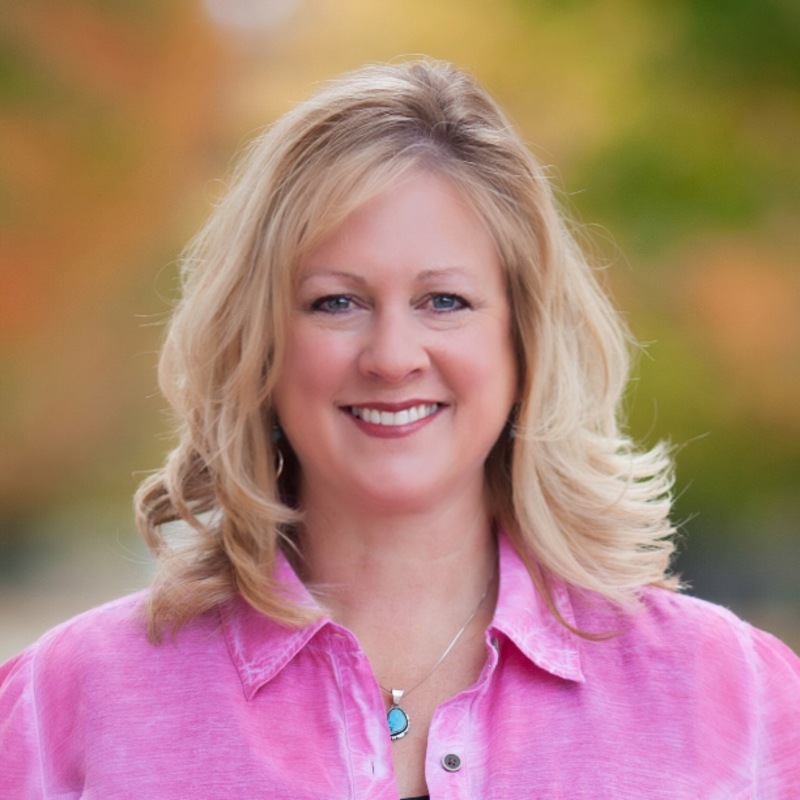 She has a long history of cycling and adventuring including long distance hiking and kayaking to mountaineering and knows how to cater to visitors looking for an active vacation. Her love for Montana and passion for cycling shows in what she has created and helps others find their own adventure in beautiful Northwest Montana. This entry was posted in FIT, Guest Post, Unique Venues and tagged Amtrak, Bicycling, FIT, Guest post, unique lodging, Unique Venues, Whitefish on February 28, 2018 by Debbie. 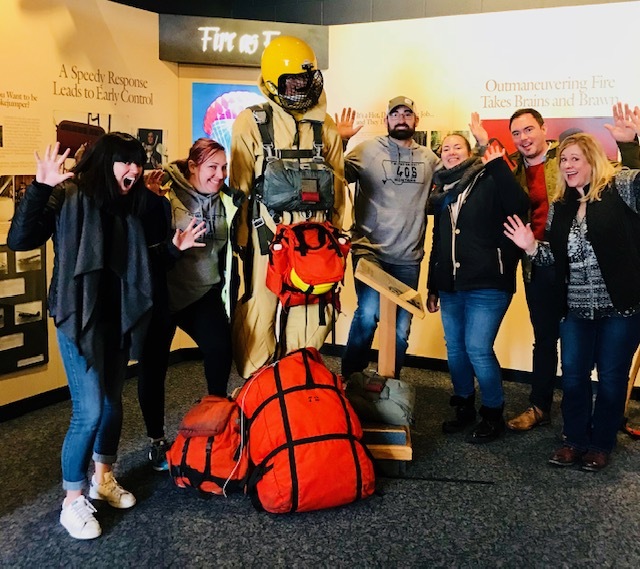 When I talk to tour operators from around the U.S. and Canada, I often get the same request for authentic Montana experiences for their clients. Besides the notable activities like horseback riding, red bus touring, fly-fishing excursions and whitewater rafting, we often talk about how choosing the right type of lodging options can strongly contribute to the types of experiences their group and FIT clients have on one of their tours. If the group is truly looking for a genuine Montana tour, an overnight stay at one of Glacier Country’s historic inns or lodges is a great option. 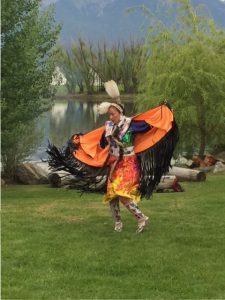 We have many to choose from in the region, especially in the northern tier of Western Montana. 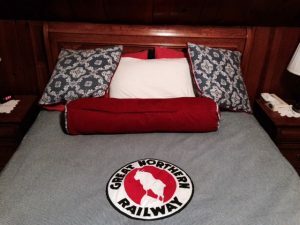 Some were constructed as accommodations for railroad workers for Great Northern Railroad in the early 1900s and have been renovated into charming lodging, while other properties were built for early travelers to Glacier National Park. 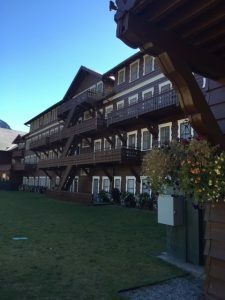 Stay at the charming Izaak Walton Inn. The Historic Tamarack Lodge & Cabins—open year-round and located in Martin City about 10 minutes from the west entrance to Glacier National Park—was originally constructed in 1907 and has undergone numerous renovations over the last century as it added modern amenities, including in-room TVs, while still maintaining a rustic charm. 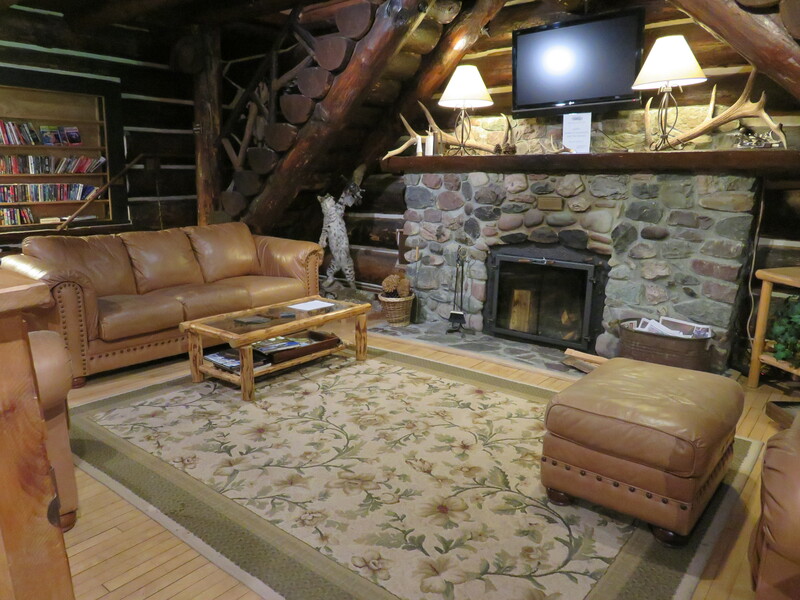 The lodge has a true log cabin atmosphere, with four guest rooms, a great room, saloon and coffee bar. In addition to the main lodge, there are 14 cabins that range from motel units to large family-friendly and couples’ accommodations. Built in 1910 to accommodate railroad workers during the construction period of the Great Northern Railroad is the Belton Chalet, located in West Glacier near the west entrance to Glacier National Park. 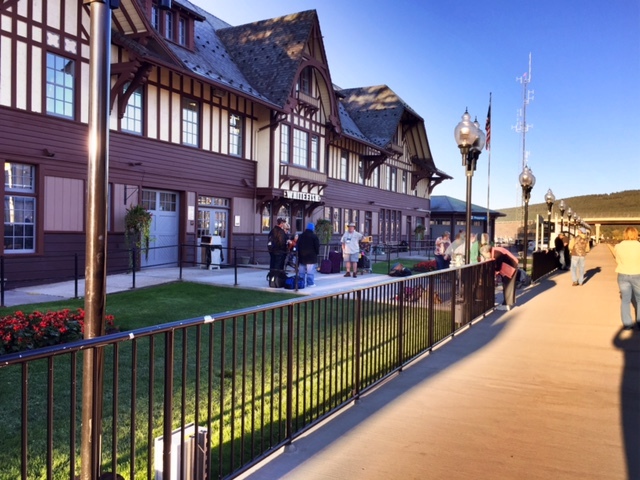 The West Glacier train depot sits across the street from the Belton Chalet, making it convenient to those traveling on Amtrak’s Empire Builder from Seattle or Portland to Chicago. While renovations were completed in 2000, the Belton Chalet has maintained the same charm, ambiance and elegance of the early 1900s. In keeping with the historic era and relaxing atmosphere, no electronic distractions are located in the rooms inspiring guests to take advantage of the exceptionally beautiful views from the many decks built around the perimeter of the lodge. The lodge’s on-site dining room serves gourmet dinners created with local Montana ingredients. 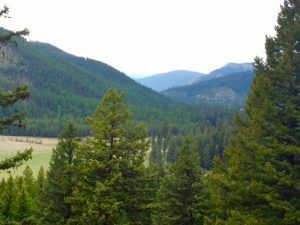 The Izaak Walton Inn is one of Western Montana’s most notable and historic lodges. 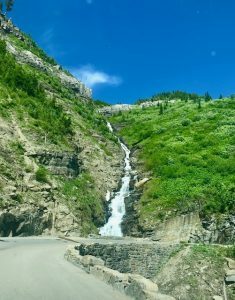 A year-round retreat built in 1939, the Izaak Walton Inn is located off of Highway 2 on the southern border of Glacier National Park in Essex. Listed as a national historic landmark, the inn has kept with the era in which it was built and is void of TVs, telephones, elevators and air conditioners, however Wi-Fi is available in the main lobby. Guests can choose from guest rooms in the historic lodge, converted railroad cars—including locomotives and cabooses—and cabins near the lodge. 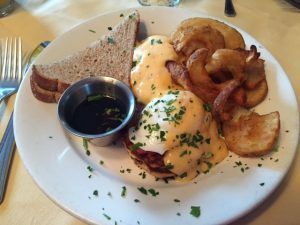 The Dining Car restaurant serves exquisite food with a Montana flare and locally sourced products. Essex is noted as a “flag stop” on the Empire Builder route from Seattle to Chicago and will not stop unless ticketed passengers are getting on or off. 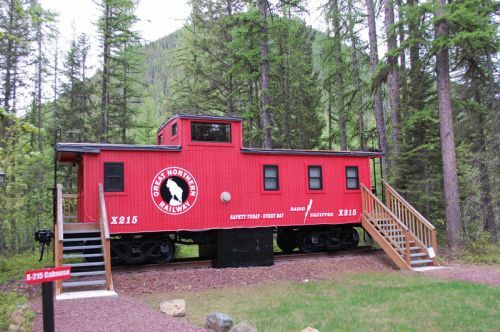 A fun tradition that has developed over time encourages guest to step out onto the deck of the Izaak Walton Inn and give a wave to the passenger trains as they pass by. The lobby of the Izaak Walton Inn takes you back in time. Within the boundaries of Glacier National Park are some of the most notable historic lodges in Montana. 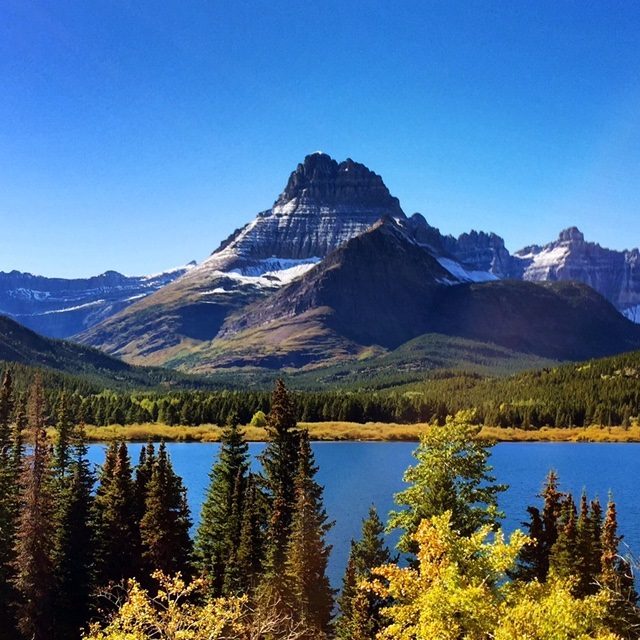 Located in the northeast side of Glacier National Park is the park’s largest hotel—Many Glacier Hotel. 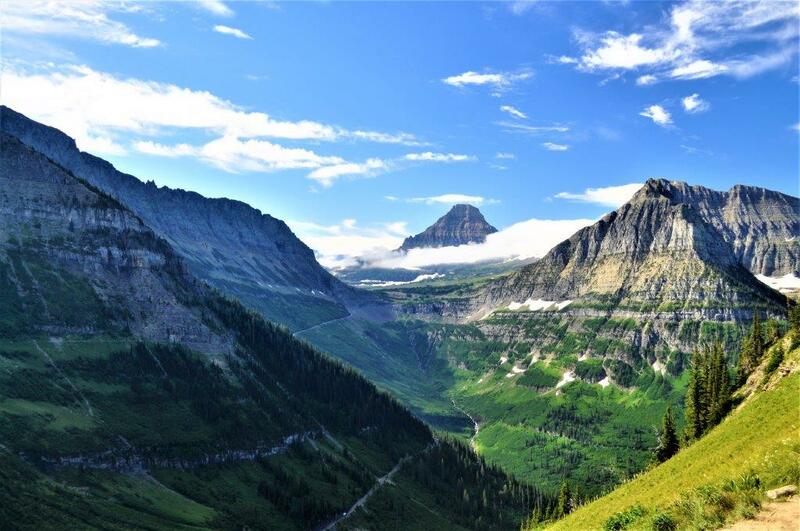 Open mid-June to mid-September, Many Glacier Hotel was built by the Great Northern Railroad in 1915. 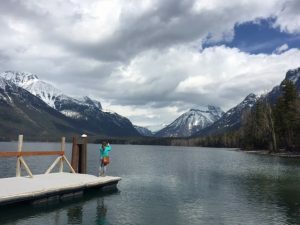 Situated on the shores of Swiftcurrent Lake and offering magnificent views from all of the 205 guest rooms, the hotel is undergoing a major renovation planned to be complete in 2017. 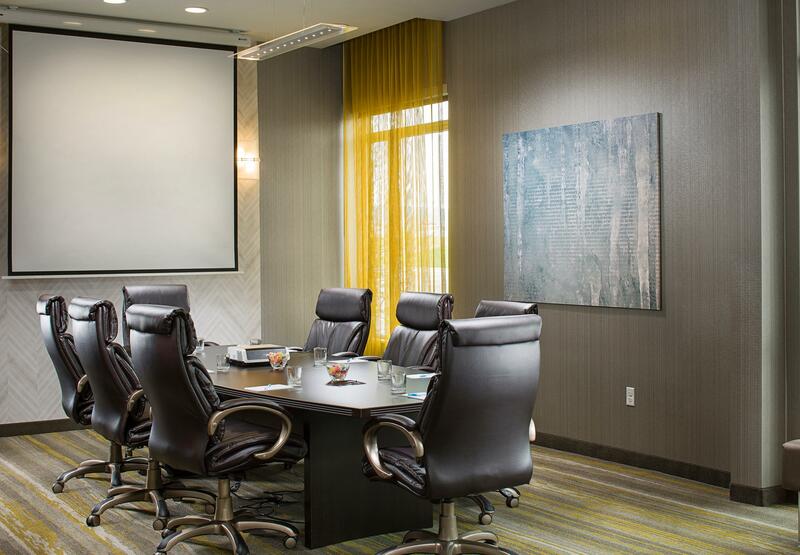 In keeping with the era, all guest rooms offer modest amenities—no televisions or air conditioning—and old-world style accommodations. 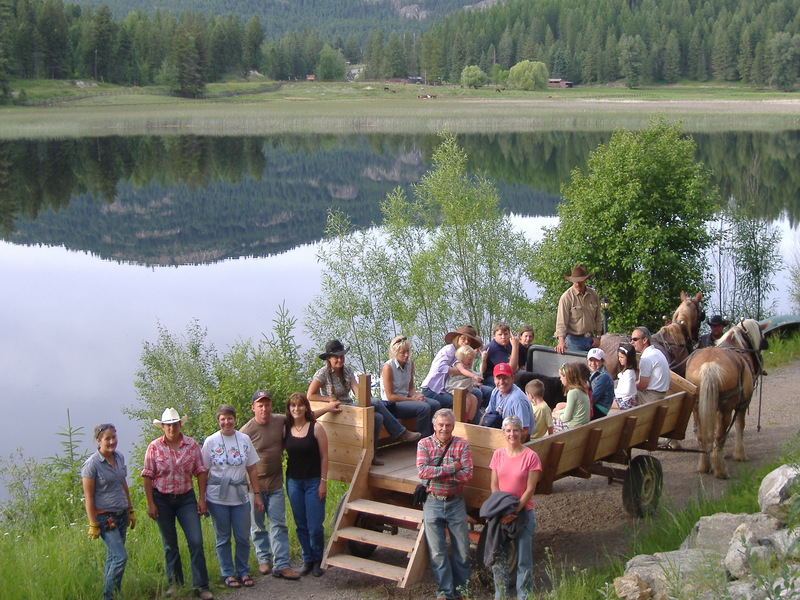 The abundance of outdoor recreation, including red bus tours, boat tours on Swiftcurrent Lake, horseback rides, abundant hiking trails and the valley’s majestic views make Many Glacier Hotel quite popular with guests from all over the world. Early reservations are highly recommended and group reservations are limited. Many Glacier Hotel in Glacier National Park. The classic Swiss chalet-style lodge of Lake McDonald Lodge sits on the east shore of Lake McDonald. Open mid-May to the end of September, the historic hotel is located 10 miles inside the west entrance of Glacier National Park on the Going-to-the-Sun Road. Built in 1913, the lodge has 82 guest rooms (including the main lodge rooms and cabins) and dining options that include Russell’s Fireside Dining Room, Jammer Joe’s Grill and Pizzeria and Lucke’s Lounge. Again, in keeping with the era in which the lodge was built, guest rooms offer modest amenities and TVs, air conditioning and elevators are not available. The lodge offers an abundance of outdoor recreation including ranger-led programs, boat tours that leave from the lodge dock, red bus tours that pick up from the lodge as well as horseback trail rides making Lake McDonald Lodge quite popular with guests from all over the world. 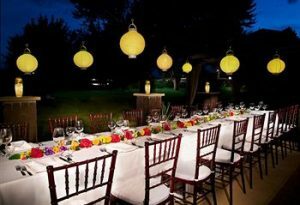 Note that early reservations are highly recommended and group reservations are limited. 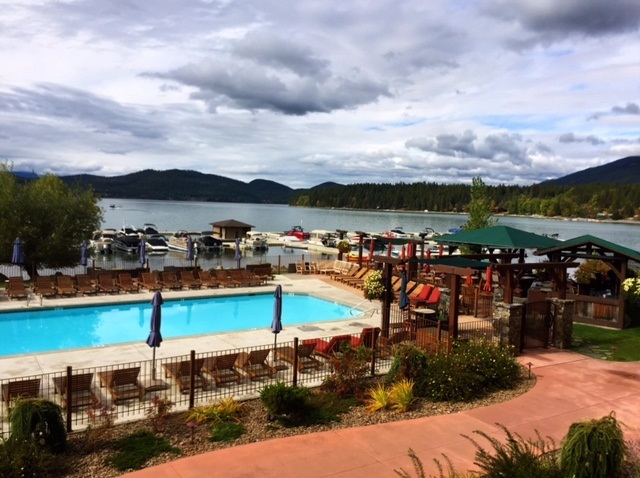 Beautiful fall day at Lake McDonald Lodge. The views from Lake McDonald Lodge. If your tour takes you down the Seeley-Swan Valley—one of the prettiest in Montana—a visit to the Double Arrow Resort and the first “dude ranch” in Seeley Lake will add a true Montana retreat experience to any tour. 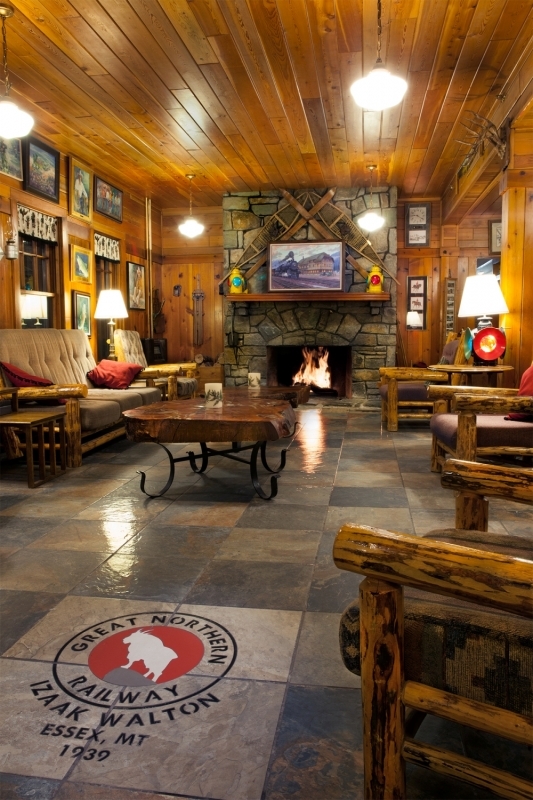 The main lodge was built in 1929 with the focal point being a massive stone fireplace in the great room. Choose to stay in one of the three guest rooms in the main lodge (complete with a bed-and-breakfast Montana lodge feeling) or one of the many log cabins throughout the property. 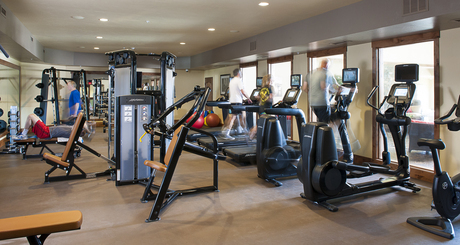 Kick up your heels at Stirrups Lounge or experience gourmet Montana-inspired cuisine at the on-site Seasons Restaurant. 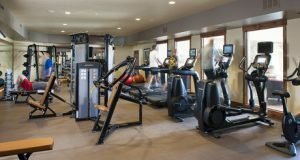 Other amenities include an indoor pool and Jacuzzi, outdoor tennis courts and horseshoe pits, as well as seasonal activities from horseback riding to horse-drawn sleigh rides in the winter. 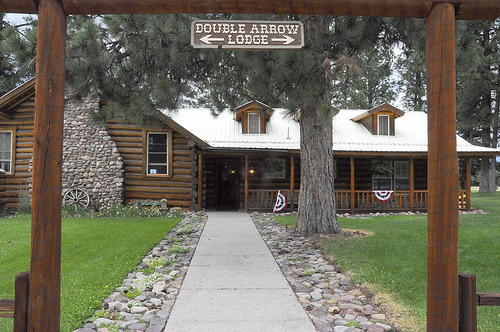 Welcome to Double Arrow Lodge. 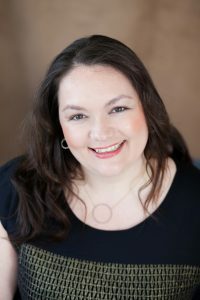 If you need help planning an itinerary, visit our tour operator page here. 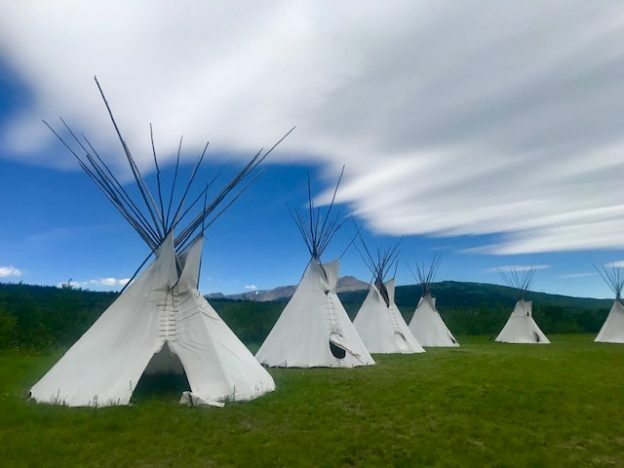 If you’d like more information on adding a stay at one of the historic inns or lodges in Western Montana to your itinerary, drop me a line here. I am always happy to help. 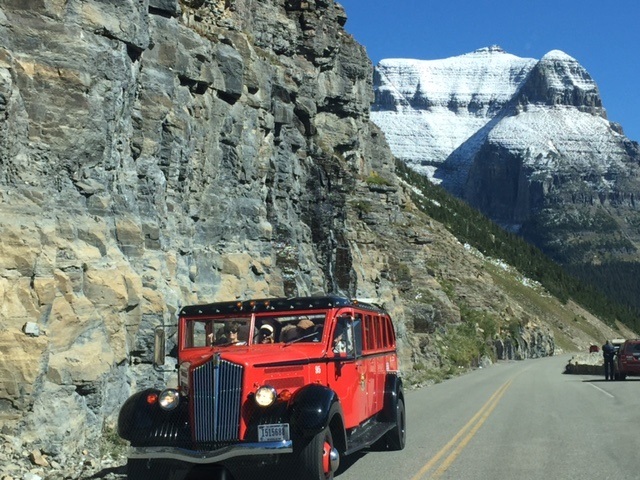 This entry was posted in FIT, Tour Operators, Unique Venues and tagged Amtrak, FIT, Glacier National Park, Glacier National Park Lodges, Group Tours, Historic Inns, Tour Operators, unique lodging, West Glacier on November 8, 2016 by Debbie. Traveling by train has been a popular mode of transportation for years in Europe and Canada and is gaining in popularity in the U.S. That’s great news to us here in Western Montana’s Glacier Country, especially as one of the most scenic segments of Amtrak’s Empire Builder travels through the northwestern corner of Montana. 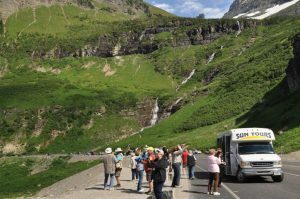 Tour operators can create itineraries where their clients can choose to travel the entire route of the Empire Builder, with flexible stops along the way to see what nearby towns have to offer. Or they can have clients travel sections of the route, then bus or rent a car for the remainder of their itinerary. 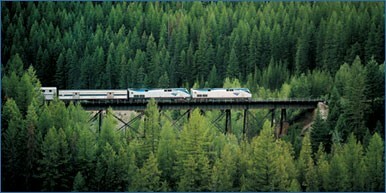 No matter which option is chosen one thing is for sure: Montana by rail is an easy way to travel. 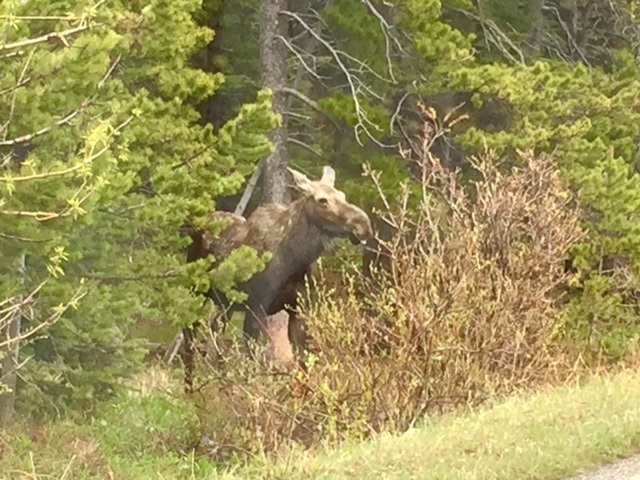 Empire Builder near Glacier National Park. Photo: Amtrak. 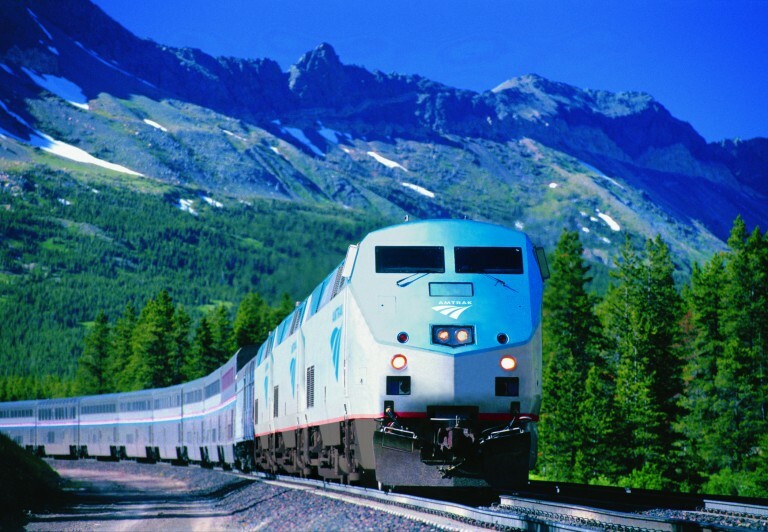 Running from Seattle, Washington and Portland, Oregon to Chicago, Illinois, Amtrak’s Empire Builder travels through the northern tier of Montana with stops in seven of Western Montana’s communities, including Libby, Whitefish, West Glacier, Essex, East Glacier Park, Browning and Cut Bank. 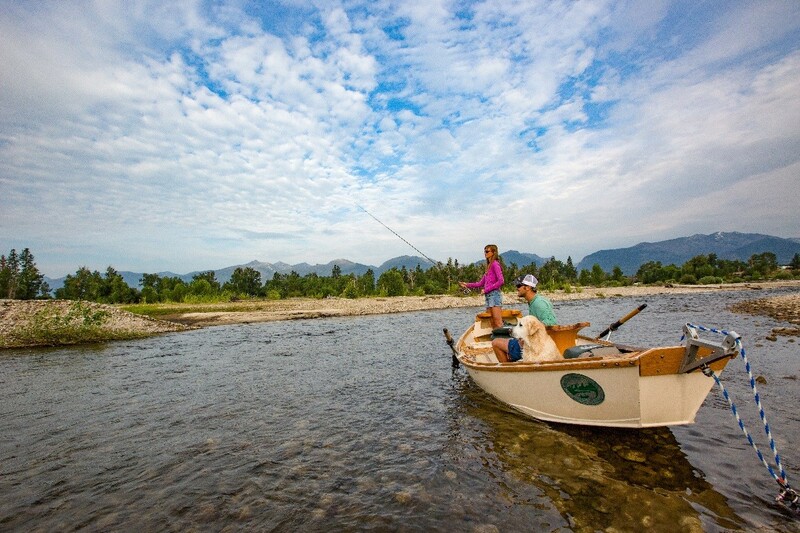 The next stop is Whitefish–Western Montana’s most authentic mountain town and home to Whitefish Mountain Resort. 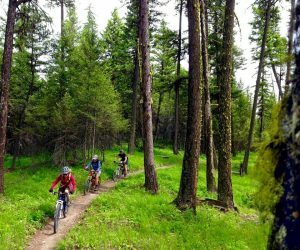 Known for its world-class skiing in the winter, Whitefish Mountain Resort also offers fun-filled adventures in the summer including mountain biking, an Aerial Adventure Park, an alpine slide and Walk in the Tree Tops. Plus, your clients will see some of the most breathtaking views of the Flathead Valley and Glacier National Park from the top of Big Mountain. 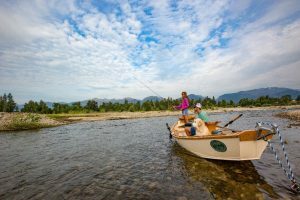 Downtown Whitefish boasts gourmet restaurants and boutique shopping along the quaint main street, Central Avenue. Unique lodging options abound in Whitefish from a 4-star hotel, to mountainside lodges and bed-and-breakfasts. View of the Flathead River from the train. 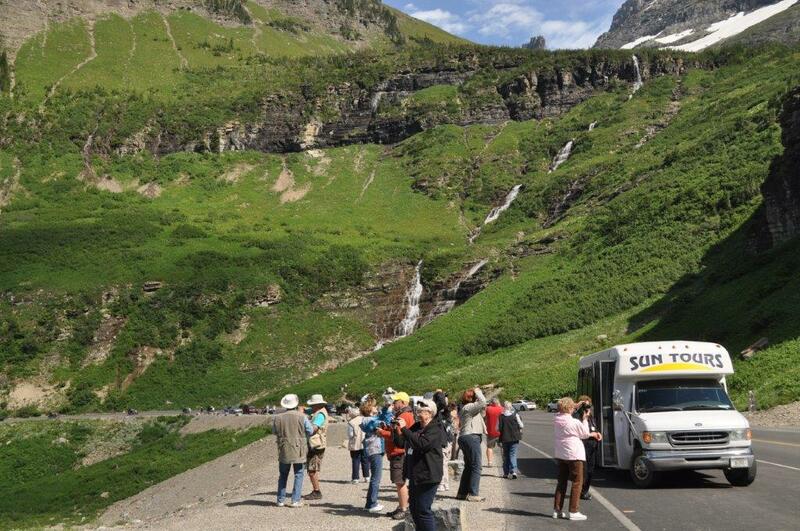 A popular stop to disembark is West Glacier, due to its close location to the west entrance to Glacier National Park. The train depot sits across the street from the Belton Chalet, the first lodge built by the Great Northern Railroad at Glacier National Park. 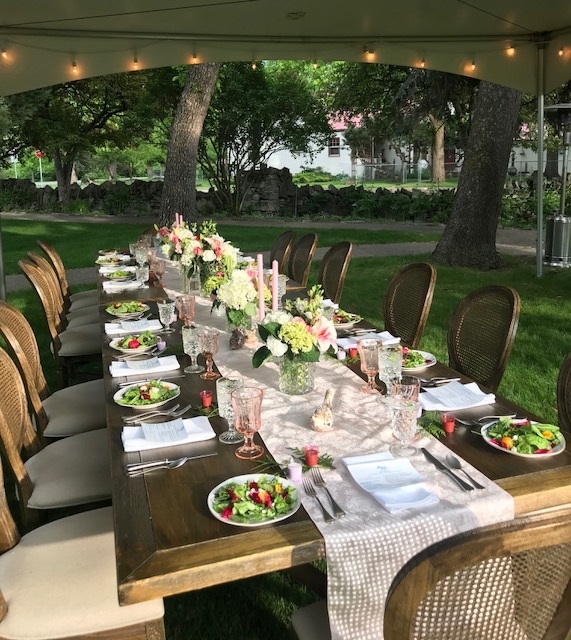 Opened in 1910, the Belton Chalet has been fully restored and is one of the most charming accommodations in West Glacier. 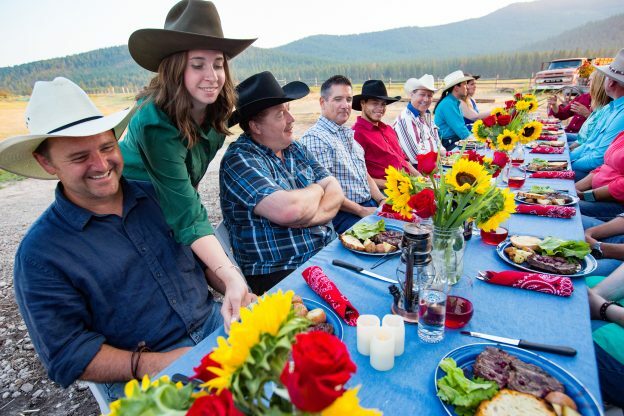 Plus, their on-site dining room serves gourmet meals made with local Montana ingredients. 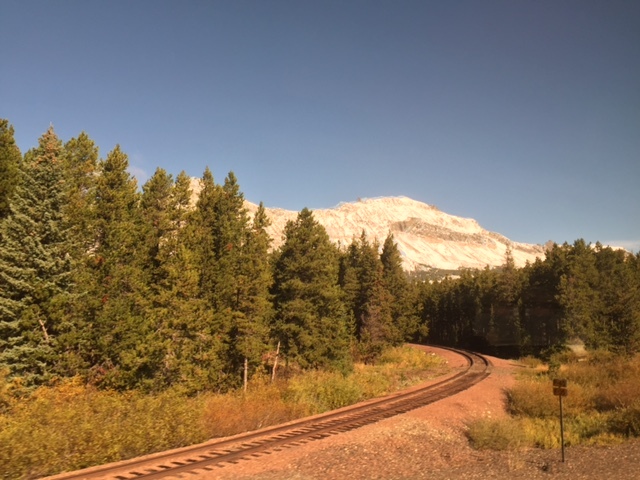 Leaving West Glacier, the train travels east along the southern boundary of Glacier National Park as it passes jaw-dropping scenery out every window. The next town is Essex and features the Izaak Walton Inn. 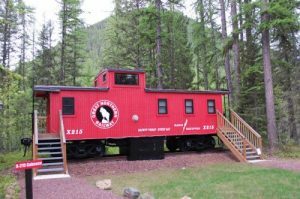 Once a railroad bunkhouse, the Izaak is now a historic inn that sits trackside and has lodge rooms, as well as train cabooses and a luxury locomotive that have been converted into adorable lodging options. 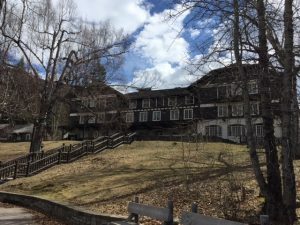 The Izaak Walton Inn is quite popular with international visitors, cross-country skiers and snowshoeing enthusiast, as well as train historians. Essex is noted as a “flag stop” on the Empire Builder route and will stop if ticketed passengers are getting on or off at the Inn. 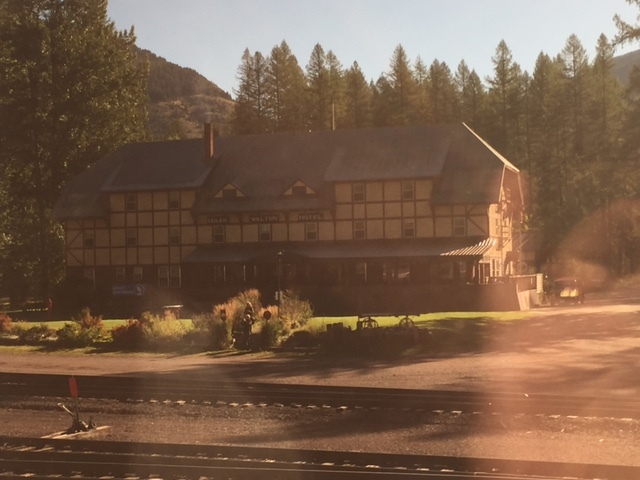 Historic Izaak Walton Inn from the train. 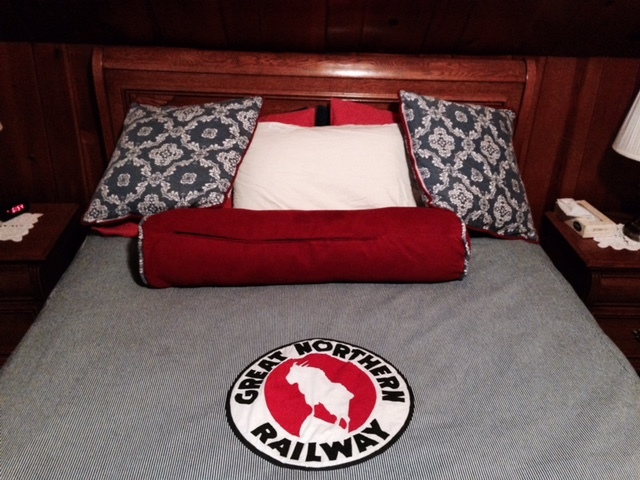 Charming bedroom at the Izaak Walton Inn. 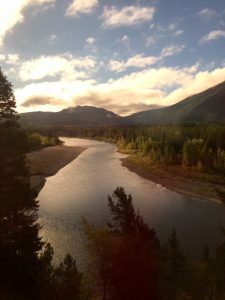 Travelers are greeted with views like this from the train. 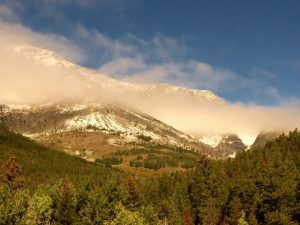 Once the train passes Essex it crests the Continental Divide at Marias Pass and then continues east to its next stop at East Glacier Park. 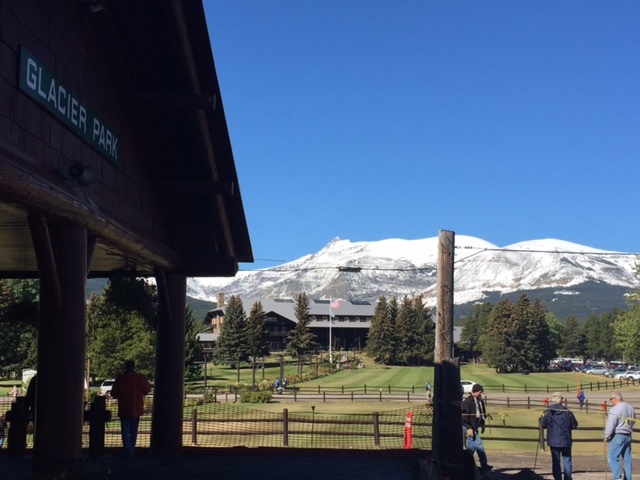 Across from the station is Glacier Park Lodge, an impressive lodge made of timbers that are estimated to be 600 years old. The lodge was originally built by the Great Northern Railway to promote train travel and attract visitors to the region. The East Glacier Park station is open mid-spring through mid-fall. 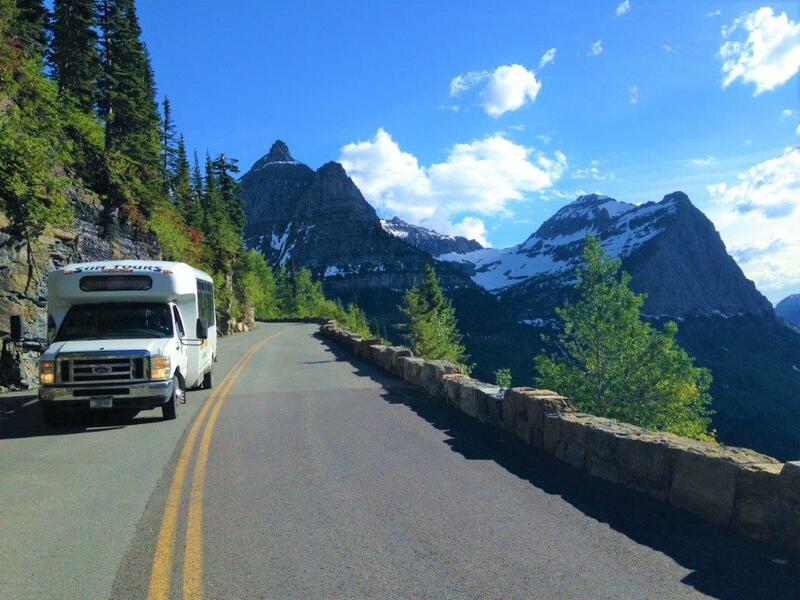 Beautiful mountain views cresting Marias Pass. East Glacier Park Station with Glacier Park Lodge in the background. The next stop is Browning, the headquarters of the Blackfeet Indian Nation. A stop in Browning gives travelers easy access to The Blackfeet Heritage Museum and Museum of the Plains Indians both offering great information on the history and culture of the Blackfeet. 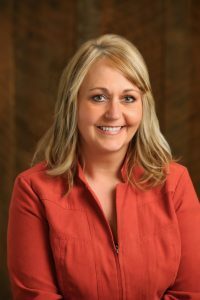 Keep in mind that the Amtrak station in Browning is open from mid-fall to early spring (typically October – April). 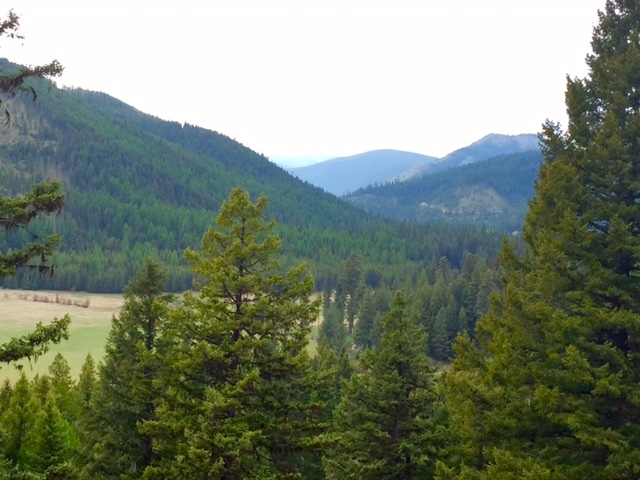 The last stop in Western Montana’s Glacier Country on Amtrak’s Empire Builder is the town of Cut Bank. 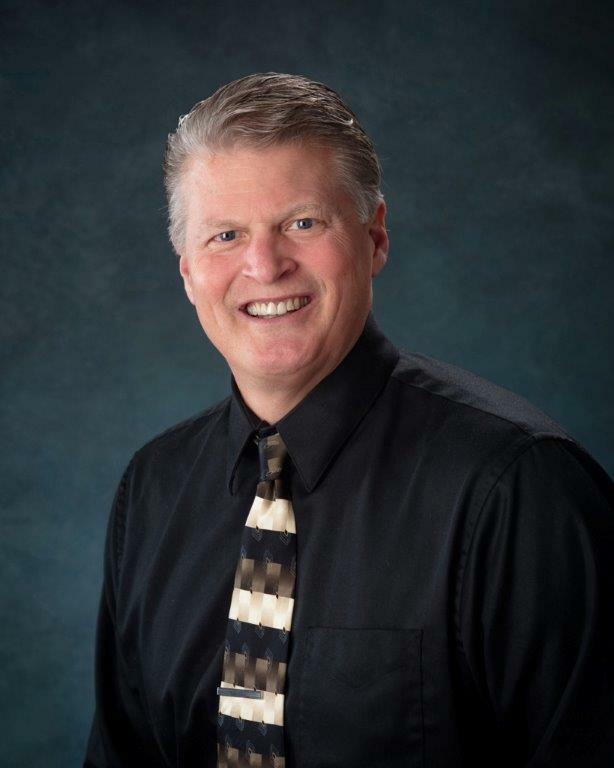 The town started as a Great Northern Railway camp with workers who were there to build a train trestle over Cut Bank Creek. 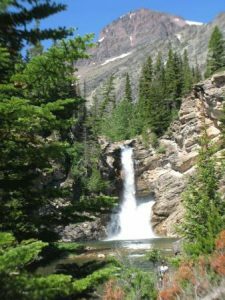 Today, it boast abundant outdoor opportunities including fishing, guest ranches, birding, hiking and incredible views of the Rocky Mountain Front. The scenery is spectacular during every season and the train runs year-round. From April to September Amtrak welcomes volunteers from the National Park Service, Trails & Rails program to offer educational information from the observation car. 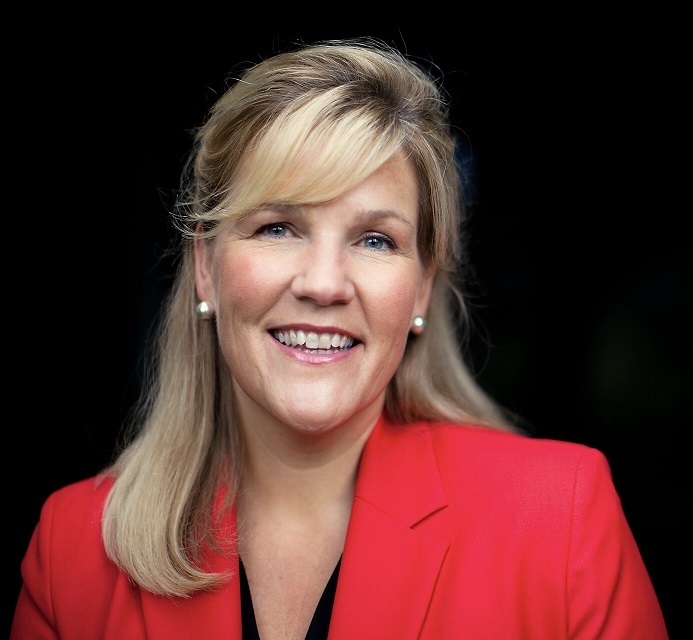 Each coach seat provides reclining options and a leg rest with a free pillow. 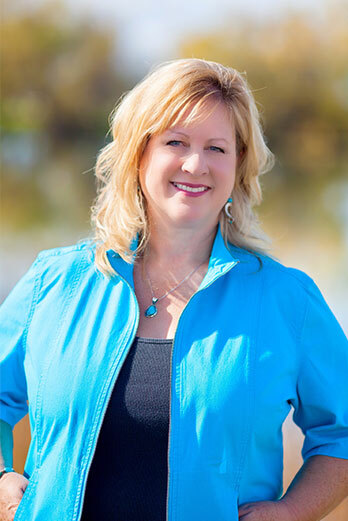 Sleeping accommodations range from roomettes to full bedrooms with private baths. Some train travel can be up to half the price of a plane ticket to get to the same destination. Amtrak often gives discounts to children, military, students, seniors and AAA members. The train is eco-friendly and more energy efficient with less emissions than cars or planes. If you need help planning an itinerary visit our tour operator page here, or want more information on adding Amtrak’s Empire Builder to an itinerary drop me a line here. I am always happy to help. This entry was posted in FIT, Tour Operators and tagged Amtrak, Blackfeet Nation, East Glacier Park, FIT, Glacier National Park, Group Tours, Itinerary, Tour Operators, West Glacier, Whitefish on September 27, 2016 by Debbie.